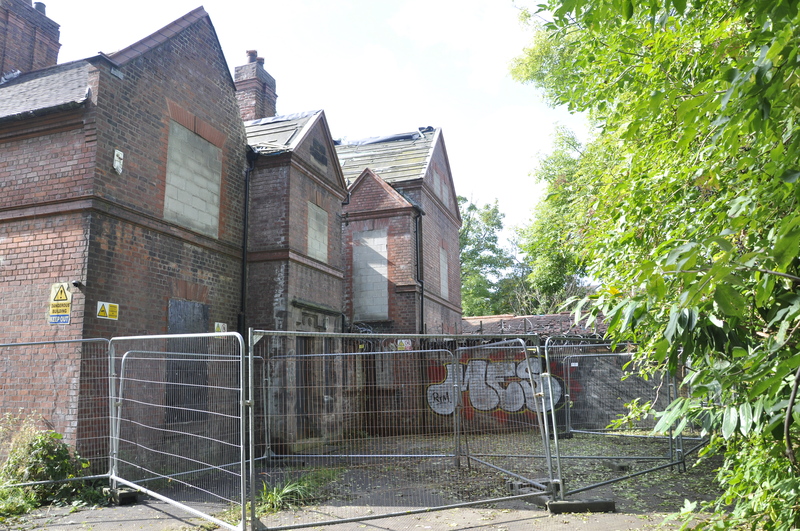 We are very pleased to announce that we have just submitted a Full Planning & Listed Building Application on behalf of our client, Harrison Hunt, to Stockport Council to restore the derelict Grade II listed St George’s Vicarage and convert it into apartments with an enabling development of further high quality, contemporary homes within the vicarage gardens. 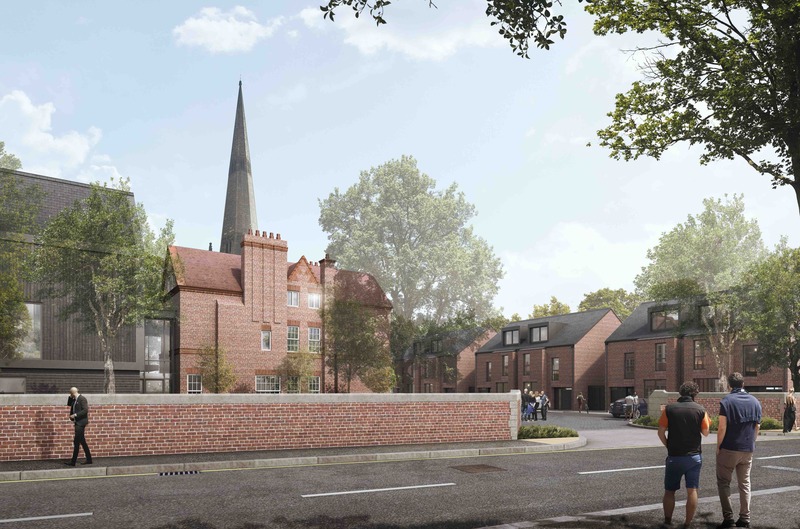 This application is the result of years of engagement with the local planning authority, amenity societies and local community with an aim to find a viable solution to the deteriorating Grade II listed former Vicarage building. The former vicarage has been left empty since 2001 and since then has been subject to repeated vandalism and arson attacks with the consequence being a completely blighted environment, causing harm to the setting of the nearby Grade I listed St George’s Church and conservation area as a whole. Working closely with our client, Harrison Hunt, an assiduous design and feasibility process has been undertaken and it can be concluded that the only viable and most sympathetic option to save the former Vicarage is to restore the exterior to its historic form and convert the interior into apartments, utilising any remaining elements of the former vicarage where possible. To enable this, further residential development is proposed in the form of an extension to the North of the former Vicarage and six semi-detached houses situated in the former Vicarage garden to the South. 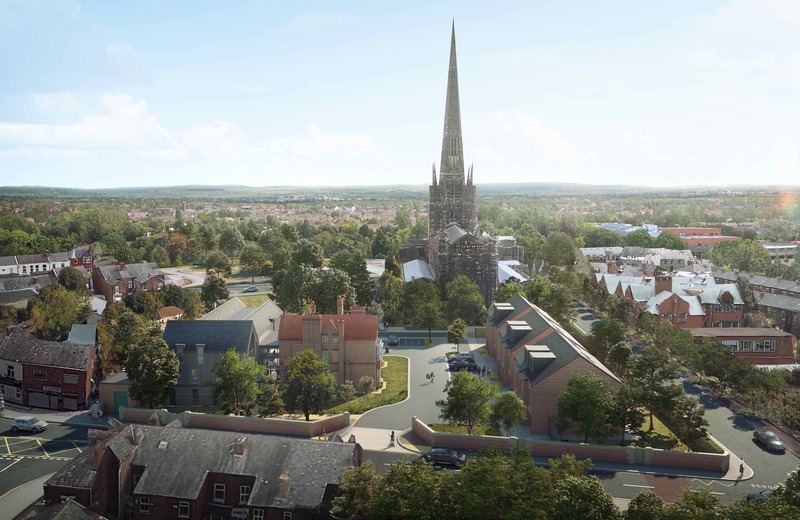 This site demands the highest quality of design and place-making for this rare development opportunity and the design of the enabling development aims to celebrate the site’s historic setting, whilst giving it its own confident contemporary architectural language.